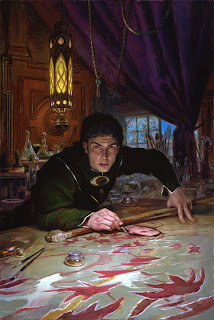 Best Fantasy and Science Fiction: Donato Giancola: "Best Professional Artist"
Donato Giancola is one of my favorite science fiction and fantasy artists who truly captures both genres in their true essences. If you haven't already heard he has been nominated as "Best Professional Artist" for the 2009 Hugo Award Nominations. 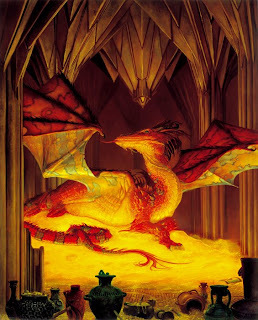 Other nominees include Daniel Dos Santos, Bob Eggleton, John Picacio, Shaun Tan, and Stephan Martiniere (although Stephan pulled his nomination since he won last year). Definitely a great crowd to be a part of! Some of the artwork that made him eligible are (shown below): Imager and The Stars Down Under. You may have seen Donato's artwork on many book covers, in numerous Lord of the Rings and Hobbit paintings (his true passion), Magic the Gathering (card game), or various other science fiction and fantasy related media. 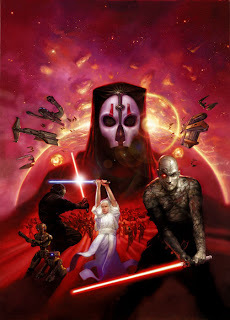 To show you Donato's range of artwork I have included Smaug & Knights of the Old Republic: Sith Lords. You can view more of Donato's wonderful artowork at his website. 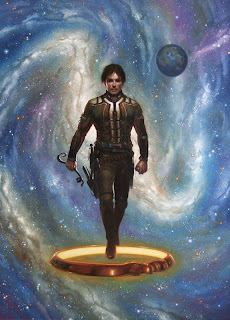 All images in this post copyright Donato Giancola. Cool. I like the way he does cloth. That's hard to do.